This is a legal product of RailTraction. In order to use this product, you will need to have a legal copy of the base game Train Simulator 2013. Welcome by the RailTraction online Readme of the add-on BR 628-4. In order to give you the latest and thus actuallest information, we use this online Readme. The Class 628 is a (semi) diesel multiple unit consisted of two carriages, one motorcar (BR 628) and one control car without powersupply (BR 928), developed in the early 1970s. Originally, the BR 628 were ordered to replace the older "Railbuses" Class 795, 798 and 515. After 20 years, the Class 628-4 was developed as big brother of the first Class 628 and numbered as 628 401 till 628 450. In the period between 1992 and 1996, 309 railcars were build. 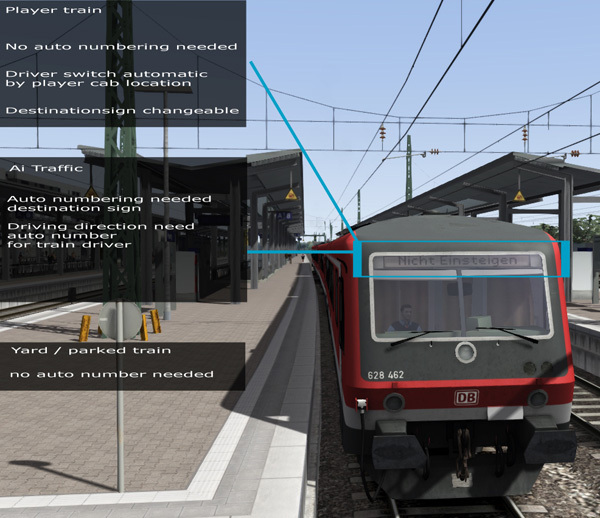 The multiple units can be find in whole Germany on mainlines and branche lines. Due to the high number of vehicles, the BR628-4 forms the backbone of German passengertrains on non-electrified routes. In this modern days, the BR628-4 is not powerfull enough for hilly routes. So the multiple units are now often replaced by newer diesel multiple units with two powered carriages, for example the BR 643 and 644 (Talent) and the BR 648 (LINT). Today, the multiple units can be still found on several german railway lines such as around Cologne. Some multiple units are operating for railway companies in Luxembourg and Romania. The Class 628-4 can be operated in a maximum of four pairs and has a maximum speed of 120 kilometre per hour. The weight of a carriage is around 42 tons. This add-on contains the German diesel multiple unit (DMU) Baureihe 628. - Authentic cab with the most functions like reality. This locomotive uses several keys which are not standard. Below is listed which keys you can use to drive the engine. For optimal sound, please turn EFX on in the soundsettings. Overview of the left side of the cab. Overview of the right side of the cab. List with trainnumbers and corresponding destinations. Please note: The Scenarios are seperately available in the BR 628-4 package. 1. Download the product from your account in the RailTraction store under "My downloads". 2. Unzip or unrar the file you just downloaded and copy the .rwp-file to a place where you can find it easaly, i.e. your desktop. 3. 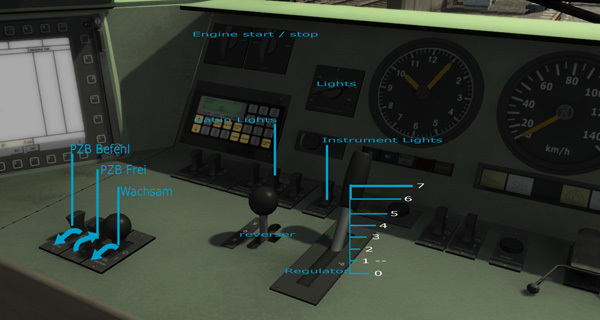 Open your Train Simulator 2013 root folder and start the programm called "Utilities". 4. Open the tab "Package Manager" and click on the button "Install" on the right side. 5. Search your .rwp-file, in the previous example you can get it from your desktop and press open. 6. Your add-on will be installed automaticaly. When the window with the green progress bar has dissapeared without any error messages, your add-on is succesfull installed. 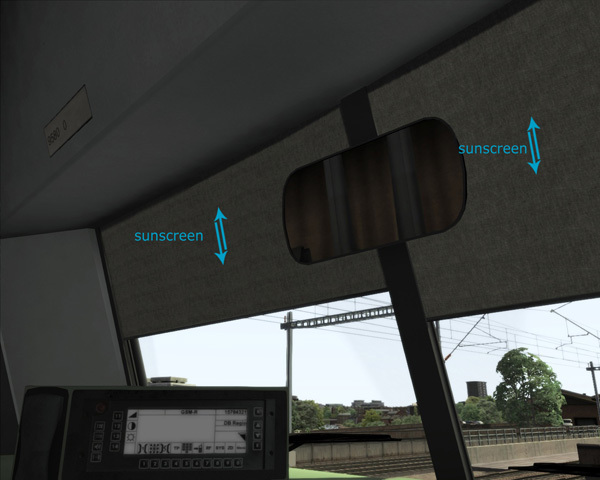 You are now able to use your add-on in Train Simulator 2013. Please follow the next instructions. 1. 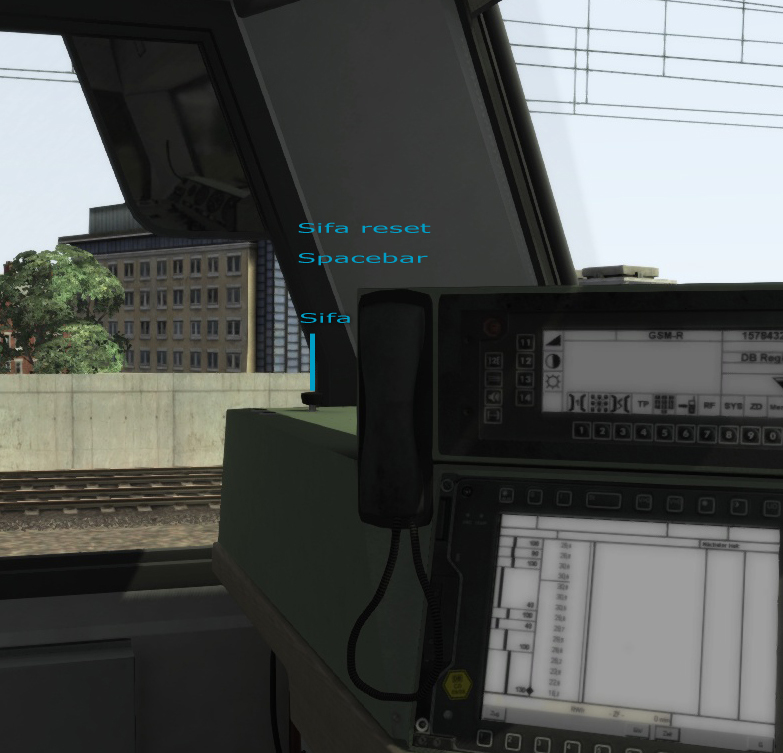 Start Train Simulator 2013. 2. Create a new scenario (standard or free roam) or start an existing scenario. 3. Once in game, turn on the World Editor mode when not already enabled by pressing CTRL+E. 4. Open the left tabs in your window. 5. In the top left tab, click on the train button named "Scenario Tools". 6. One tab below, press the blue/yellow cube named "Object Set Filter". On the right side, a new tab appear. 7. Open this tab and search for the developer, in this case Railtraction. 8. Check on the name of the add-on (if not already checked), BR628. Now you will find the locomotive in the tab trains named BR628-4. You can set your own locomotive number in the World Editor. Please double click on the engine on the track. Open the tab on the right side of the screen and you will see some numbers. Below you find a list with destinations and corresponding numbers. 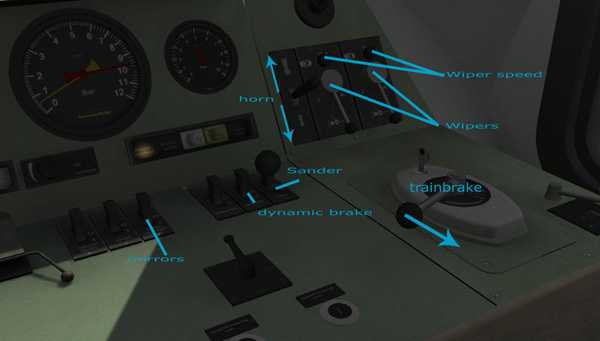 Please note: a visible German traindriver is added automatically too. Its possible to make reskins of the add-on BR 628. Destination signs changed to numpad Shift + / Shift -. Cabinlights already inside the old release but missing from manual. Shorcut key L.
Brake system added by LUA script. Moving till 3.5 bar down on normal use. Inside stages from -+ 4.7/4.4/4.2/4.0/3.8/3.5/ emergency brake. Buttons fixed, startup and some increased switching speed.